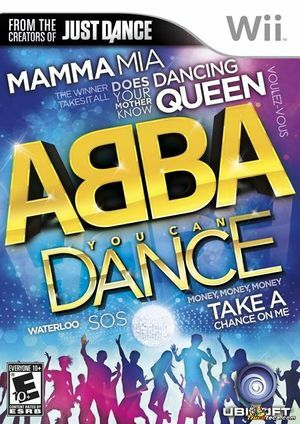 ABBA: You Can Dance is a video game for the Wii, developed by Ubisoft. It was released on November 15, 2011 in North America, November 24, 2011 in Australia and November 25, 2011 in Europe. The game is a spin-off of the Just Dance series. The game includes a "Karaoke Mode" which allows 2 players to sing via USB microphones, unfortunately not all of the songs are singable. Use of Force Texture Filtering or Anisotropic Filtering enhancement options will cause dancers to not display and related video corruption. Off If enabled, causes issues on videos and makes the dancers disappear, leaving only the background, corrupted. The graph below charts the compatibility with ABBA: You Can Dance since Dolphin's 2.0 release, listing revisions only where a compatibility change occurred.